Do You Want Portable Toilets For Remodeling? If it is your business that is remodeling, you might have to close down during the remodeling. You could maybe tell customers you don’t have a working bathroom in certain situations, but not if you run a restaurant. And it would be hard to staff employees for any length of time without a working bathroom. While you don’t want to lose any business, closing might help you maintain your reputation. If you are remodeling your only bathroom at home, you don’t want to go without for the length of time the project could take. You may have to spend a few nights in a hotel, which will add to the expense of the remodeling job. If you want to stay in your home or keep the business operating while the remodeling is done, you may have to work something out with someone nearby. If you have friendly next-door neighbors, perhaps they will let you come take showers and use the facilities. Likewise, if there’s a business next door, they might welcome your employees. If none of these options sound suitable, you might consider renting portable toilets for your business or even for your home. While you might not like the idea of a portable toilet, there are luxury options that feel just like a real bathroom. You wouldn’t want to send guests in a restaurant out to a portable toilet with no sink, right? The luxury options feel like real bathrooms because they flush, have sinks with handwashing capabilities, and even a garbage receptacle. That is a one way to satisfy both customers and employees without making anyone feel like they are in an outhouse. The rentals can be for a few days, a week, or even longer. If you’re about to undergo remodeling on a bathroom in your house, or within your business, contact American Sanitation Inc about Vallejo portable toilets. Tell us about your home or business, how many people are there regularly, how long the project will take, and other such details and we’ll help you line up the unit you need for the duration of the process. We will deliver the portable toilet you need and situate is in a convenient location. We will also pick it up when you are finished with it and if it needs any service while it is there, we can take care of that as well. Give us a call at (707) 554-8258 to talk over the options and your needs. You can also visit us at 1729 Action Avenue, Napa, CA 94559 and we’ll show you luxury portable toilet choices. This entry was posted in Portable Toilets on January 14, 2019 by superowner. 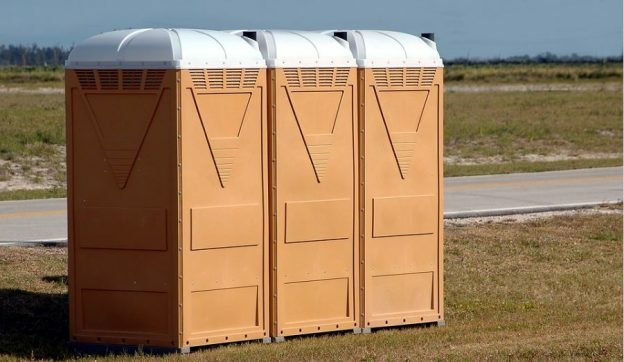 When you are hosting an outdoor event without any nearby facilities, you will need to consider bringing in Santa Rosa portable toilets. But is just on enough or do you need several? You will want to think ahead with care so you don’t end up with desperate individuals in one long bathroom line. Here are some of the items to consider. How many people do you expect to attend your event? A couple of dozen? Hundreds? More? The number of people who will be at the event will help you determine how many portable toilets you need. If you’re only having 50, you could get away with one portable toilet. If you are having 1,000, you’ll need at least 5 or maybe even more. How many hours long is the event you’re hosting? If the event is short, just a couple of hours, you won’t need as many portable toilets as you would if the event is a whole day. Increase the number of toilets the more hours the event runs. Are you serving food and beverages at the event? If so, you’ll want to ensure there are enough portable toilets and you will want more than if you are not serving anything. Even if you don’t serve drinks, if people are allowed to bring their own, you’ll need to accommodate them afterwards. Some portable toilets come with sinks and handwashing capabilities. If you get standard portable toilets, they do not and you will want to add one handwashing station to every four portable toilets to give people the ability to clean up. If you are running a jobsite and not an event, you will want to think about how many shifts are being worked on the site and with how many people. You can usually accommodate 10 workers during a 40-hour week with just one portable toilet. If you have more than that, it’s important to calculate and add more toilets to the site to meet their needs. When you are ready to place an order to rend portable toilets in Santa Rosa, contact American Sanitation Inc. We can help you figure out just how many you need for your event or job site based on how many people will be there, for how long, and what types of foods and beverages are available or eligible to be on the site. Give us a call at (707) 554-8258 and we’ll set up a convenient time for delivery. If you know when you want the units picked up, we can make arrangements for that as well or we can talk that over later. If you want to stop by and look over the options, you’re welcome to do so. We’re located at 1729 Action Avenue, Napa, CA 94559 and we have everything from standard to VIP portable toilets. Depending on your needs, your event, your location, and many other factors, we’ll help you find the right fit. This entry was posted in Portable Toilets on January 7, 2019 by superowner. While most portable toilets have sanitizing supplies, and many come equipped with a hand wash station outside, there’s nothing quite like a fully flushing toilet with a hands-free system to make people feel like they have gotten through the situation as cleanly as possible. No one wants to catch germs from others and with a self-contained fresh water system, a flushing portable toilet makes those present feel better about germs. Indoor toilets use a lot of water when they flush. If there are indoor facilities nearby your event and you still place flushable portable toilets outside, they will get used as well, which saves the bundling a lot of water. The flushable portable toilets leave a smaller footprint behind than allowing everyone to use the indoor toilet. Whenever you think of a portable toilet, a certain smell comes to mind. Flushable toilets don’t carry that smell because the waste produced in the toilets can be flushed away. If you’re having a wedding or another upscale event, the scent of the portable toilets might be very important to you. While the standard portable toilets are going to cost less, there are still affordable options under the flushable umbrella. If you want something special for your event or location, there are ways to get what you need under the rental of flushable portable toilets without breaking your budget. If you need portable bathroom options, the experts at American Sanitation Inc are here to help with advice and variations. We can show you the choices and help you decide what will work best for your event. Regular flushable portable toilets in Fairfield can come on their own, or they can be coupled with hand wash stations that sit outside. You can also upgrade to VIP portable toilets, that are like real bathrooms with sinks, running water, flushing, and even trash containers all included. Whatever you need, we’re here to help you find. Our family owned and operates company can deliver the portable toilets when you need them and pick them up once you are through with your event or special occasion. Give us a call at (707) 554-8258 and we’ll go over the details with you, so you can make an informed decision as to which option is best for your circumstances. We’re located at 1729 Action Avenue, Napa, CA 94559 and you’ll get nothing but friendly customer service from us every time we speak. This entry was posted in Portable Toilets on December 24, 2018 by superowner. Are You Due For Septic Tank Pumping Services? You don’t think about your Napa septic tank very often—until it stops working properly. It’s a good idea to recognize how your system works on a regular basis so when you notice things working differently, you can call for help before it gets out of hand. Septic tank pumping services are something everyone with a septic tank is going to need at some point or another. Here are a few times you will know you are due for the service. You know how fast your drains operate and if they start to work slower and slower, you’ll notice. When things sit in the sink or the bottom of the tub for a bit before they drain away, you know your septic tank is acting up. Having pumping services done will get things flowing better again before they get backed up and cause real issues. No one enjoys the septic smell, but when you notice it coming from your drains or in the grass outside in your yard, you know something isn’t right. It’s a good warning sign that septic tank pumping services are necessary. You know to call for help before the odor gets worse or other problems arise. You know where your septic tank lies within your yard and if the ground around it is mushy or greener than other areas of your yard, there could be some leaking issues that pumping services can fix. Have the experts come out and take a look. After they inspect things, you will feel better about the process. The last thing you want in your house is for the plumbing to back up through the toilet or other areas. It can cause a real mess that is really hard to clean up and it can even cause damage that costs even further repairs. If you start to see backups occur, don’t wait around to see if they happen again. Get someone on the phone and have a professional do a septic tank pumping service. This entry was posted in Septic Tanks on December 17, 2018 by superowner. If you go with top-of-the-line toilets, which is what you want when guests are dressed to the nines for your special day, you aren’t really sacrificing anything. Yes, the bathrooms are outside and they are portable, but that’s about all they have in common with portable toilets. Rather, they have much more in common with regular bathrooms. The VIP portable toilets are clean, sanitary, include a flushing toilet, have a running sink, and even have a trash receptacle. The fact that you can have them placed strategically around your wedding is a gift to the day. You might even have to make use of it yourself. We understand that things add up quickly when you are planning a wedding. But there are certain things you have to have at a wedding and restroom facilities are one such thing. If you want your wedding to be in a certain location and there’s not a close by bathroom, portable toilet rental is in your best interest. But you don’t have to worry about the rental breaking your budget. There are affordable options that are nice, clean, and do the trick. They won’t stand out as tacky and ruin your day at all. If you have any mobility issues in your family or friend group, you can even address those with portable toilets. There are ADA Compliant options that can help you get the facilities you need while you keep your handicapped friends and family members in mind. These units are larger and can accommodate a wheelchair as it turns around. Your wedding is going to be a very special day and once you rent the Vallejo portable toilets that best suit your needs, you’ll barely think about them amidst everything else going on. However, should you need them, you’ll be glad they are there, and your guests will be grateful for them as well. American Sanitation Inc is here to help you rent just the right units and place them just so for your big day. Call us at (707) 554-8258 or stop by and see options at 1729 Action Avenue, Napa, CA 94559. We’re here to help your wedding go off without a hitch and that might just include some portable toilets and perhaps a hand wash station as well. This entry was posted in Portable Toilets on December 10, 2018 by superowner. When was the last time you used a portable toilet in Santa Rosa? When you think of portable toilets…which probably isn’t very often…does your nose automatically crinkle up? That’s most people’s reactions, but not all portable toilets are like that! While you expect to see them at sporting events, outdoor concerts, construction sites and other such locations, they are being used at upscale events as well. Here are a few reasons why you shouldn’t judge all portable toilets in the same manner. 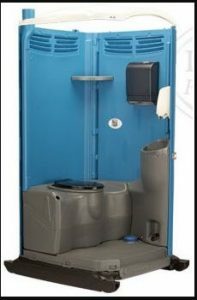 There are some portable toilets that you will see at construction sites that are basic and standard, but there are also what are called VIP units that basically look like a regular bathroom inside. They have a toilet that flushes, a sink that runs water, soap dispenses, and even a built-in garbage can. These portable toilets can be seen at upscale events like weddings, graduation parties, family reunions and other special events. Not every outdoor event without access to a regular bathroom has to have a standard portable toilet. While standard portable toilets are how you remember them, there are options that actually do flush, so they feel much more like a regular bathroom. These are a bit more expensive to rent, but for certain events or special occasions, they are worth it. They don’t feel like a regular portable toilet because they are much more like the bathrooms you use inside. If you have a place of business that is remodeling its bathroom, or even if you are doing so in your home, portable toilets can take the place of that bathroom for the time being. You can get various things in the units you rent and if you get something on the standard side, there are hand wash stations available to rent to place beside the bathroom. Portable toilets are getting so nice that they can take the place of a regular bathroom, if need be, until that bathroom remodeling project is complete. 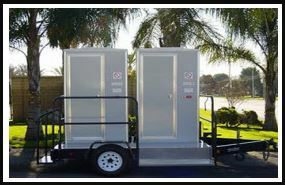 Santa Rosa portable toilets are convenient and when you need them, they’re there for you. 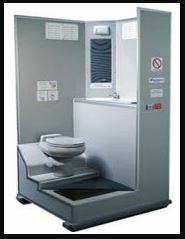 When you think about portable toilets, however, you might think about standard units. They work wonders in the right location, but there are other options to consider if you need to rent portable toilets. To go over the options and figure out what’s right for your situation, contact American Sanitation Inc by calling (707) 554-8258. Our friendly employees within our family owned and operated business just want to help you in any way we can. Stop by and see us at 1729 Action Avenue, Napa, CA 94559 and we’ll listen to your needs and goals and point out the unit we think would work best for you. Portable toilets can work at places from construction sites all the way up to elegant weddings and beyond. You just have to put your stereotypes aside and look at the reality of these units today and we can help every step of the way. This entry was posted in Portable Toilets on December 3, 2018 by superowner. What Do You Need In Septic Tank Service? If you have an issue with your septic tank, the last thing you want is to wait around for a company to answer you or to arrive. You need something done fast so the damage doesn’t get worse and the problem doesn’t grow. When you have a septic tank, it’s best to investigate possible repair companies in advance so when an issue arises, you know who to call. Maintaining your septic tank is important as well so choose a company you trust to give you service when you really need it. Experience goes a long way in working on septic tanks. While a new company might do fine, you never really know for sure. An experienced company will likely have seen the issue you are having in the past and has experience in fixing it fast and correctly. You don’t want to take chances with your septic tank so it’s always best to go with experience. You also want a staff that is friendly to you throughout the process. You just can’t beat good customers service today. One of the first things you will ask a septic tank service company is whether they are fully licensed and bonded. You just can’t take a chance hiring someone who hasn’t gone through the specialized training to get that paperwork in place. While you need your septic tank repaired, you don’t want to pay your whole life savings to have it done. Look for a company with fair prices that are competitive so you can get what you need at a price you can afford. If your Napa Septic tank is smelly, draining slowly, backing up, or doing other things that you know means trouble, it’s time to call in an expert for help. 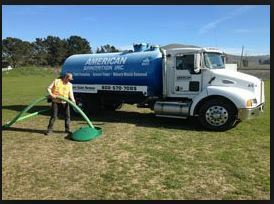 You will get all of the above items and more when you contact American Sanitation Inc at (707) 554-8258. We’re a family owned and operates business and we have professionally trained septic pumping technicians who can get the job done right—and fast. Schedule a visit today to get your worn done as quickly as possible. We’re located at 1729 Action Avenue, Napa, CA 94559 and we’re always happy to answer your questions about septic tank health so you can avoid the big issues whenever possible. This entry was posted in Septic Tanks on November 26, 2018 by superowner.